Health care systems worldwide have undergone dramatic changes since the beginning of the 21st century, and for this issue of ANS we are calling for manuscripts that provide evidence of approaches to health care that address pressing issues that gave rise to the changes. In particular, we seek manuscripts that describe nursing models that have influenced health care delivery, and evidence related to outcomes based on these models. We also welcome manuscripts that present theoretical and philosophical perspectives that contribute to understanding and shaping health care delivery policy and decisions. Of course I am inclined to think that the most significant problem affecting health care policy, the health care system and the quality and quantity of nursing care has to have a timeline that goes back even further than Richard Nixon’s support for health maintenance organizations and the promotion of capaitation as a major form of payment for health care services. This even longer time frame, two centuries, dating back to Carl Friedrich Gauss’ work on measurement error and the normal (Gaussian) distribution is necessary to really understand the mathematical and statistical basis of the fundamental flaw of capitation financed health care: That capitation cannot work in efficient health care (finance) systems ergot, capitaion cannot drive our health care (finance) systems toward an efficient state. The core problem of 21st century nursing has to do with resource constraints and insurance risk bearing by health care providers. While resource constraints by themselves are more than adequate to negatively impact the quality and quantity of nursing care the real problem is far more injurious. When health care providers: Hospitals, Physicians, Nursing homes and Home health agencies bear the insurance risks associated with the care of their patients AND the obligation to care for their patients, it is a simple matter of getting hit from both sets of demands. Under a fee for service mechanism as the intensity of care required by patients rises so does the revenue stream associated with patient care. As a health care provider steps up to meet the needs of more complex, more intense or longer duration care the health care provider is compensated for the increased level of care rendered. Under capitation-like health care finance mechanisms the level of payment for care is fixed at the outset. As the intensity of care required by patients rises there is no increase in the revenue stream associated with patient care. Rather than being able to step up to meet the needs of more complex, more intense or longer duration care the health care provider is compelled to manage the fixed revenues AND deliver the increased level of care rendered. The problem here is that health care providers have been failing, financially and clinically, at alarming rates since the introduction of the first risk-transferring efforts incuding Kaiser Permanente and the post-Nixonian decision to require employers to offer health maintenance organization coverage to their employees. The crux of the issue has to do with the proximity of the average cost of providing care to the average for the population cared for. The basis of insurance is that unlike individual policyholders, insurers have an advantage in managing risk that no single policyholder has: While some policyholders will have very high claims which the insurer will have to pay, most policyholders will not. Large insurers can offer insurance protections to their policyholders at a cost close to the average claim cost per policyholder and still earn very predictable profits every year. Individual policyholders cannot do the same and small insurers do not do as well as large insurers. When the insurer is very small: A single Physician, Nurse, Hospital, Nursing home or Home health agency the variation in avaerage costs for their patients, during any specific financial period: Patient, Shift, Day, Week, Month, Quarter or year is far too high. Such risk bearing providers’ service costs may be higher, or lower, than the payments they will receive and the core premise of capitation-like health care mechanisms is that these risk-bearing health care providers will become “more efficient” by reducing the cost of the care they provide. But, in an efficient health care (finance) system, individual providers do not have the ability to control the severity of illness of their patients. The only way that risk-bearing health care providers can control the costs of care, in efficient health care (finance) systems is by reducing the level of care they provide, lest they, at the end of any specific financial period, become insolvent. The issue of how health care, and more specifically how nursing care is financed is the defining issue affecting the quality and quantity of nursing care in the 21st Century. If the advocates of capitation succeed in implementing capitation as the sole method of financing nursing care, the quality of nursing care will plummet in all settings. While the rich will be able to access care on a fee for service basis, the overwhelming majority of the population will not. The poor, disenfranchised, people of color are the ones most impacted by the manner in which health care services are paid. It is the poor and the powerless suffer the delays and denials of diagnosis and treatment that come with capitated health care finance. 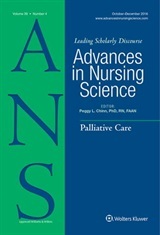 Until nursing puts its attention on the singularly most impactful aspect of modern health care, until nurses understand the impact of risk transferring health care finance mechanisms and nurses address these issues in their worksites and at a national level, nursing will continue to offer suggestions for care that will be ignored by the seemingly more sophisticated players at the tables, the people who have the stacks of financial analyses, the reams of paper on how much patient care costs and who seem to understand (But do not) how the health care service system can respond to capitation-like health care finance mechanisms. But the misinformation overload is pretty overwhelming. So many poor ideas, so little thought or analysis.